Note: This post was originally posted on MaRS Innovation. It has been re-posted here with permission. MaRS Innovation enjoyed an exceptional year in 2014. Our team continues to collaborate with researchers within our membership to help bridge the commercialization gap between their world-leading research and creating successful startup companies or licenses. Here are our picks for the top 10 news stories from MaRS Innovation’s portfolio. 1. Triphase Accelerator Corporation, in which MaRS Innovation is an investor, started the year with a bang by signing a collaboration and option agreement with Celgene Corporation. In October, Triphase initiated a Phase I clinical study to evaluate marizomib in Glioblastoma (GBM) with Celgene, signed an agreement to provide Celgene with an option to acquire a new bi-specific antibody (licensed by Triphase from PharmAbcine) and closed the year by announcing that Triphase’s proteasome inhibitor, marizomib, demonstrates potent synergistic anti-multiple myeloma activity in combination with pomalidomide. 2. Flybits Inc., spun out of Ryerson University, announced a $3.75 million Series A financing with Robert Bosch Venture Capital to advance the company’s context-aware mobile experience platform. The company was also named a Red Herring Top 100 North America winner. 3. XLV Diagnostics Inc., spun out from Sunnybrook Health Sciences Centre and the Thunder Bay Regional Research Institute, secured a $3 million Series A investment round with Boston-based Bernard M. Gordon Unitrust. XLV’s product will provide mammography image quality equivalent to top-of-the-line mammography machines currently in use, and will do so at a fraction of the cost of current generation systems. The funding will support continued product development and regulatory approval. 4. BlueDot, formerly BioDiaspora Inc. and spun out from St. Michael’s Hospital, secured a Series A with Horizons Ventures, which is funded by Li Ka-shing. Founder and CEO Dr. Kamran Khan also appeared on CBC’s “The National” to discuss the Ebola crisis. BlueDot has a five-year cooperative agreement to work with CDC headquarters in Atlanta, and has received funding from Foreign Affairs, Trade and Development Canada to support WHO’s Ebola response in West Africa and to build capacity among the 10 countries of the Association of Southeast Asian Nations to prepare for tomorrow’s inevitable infectious disease threats. 5. Accel-Rx, the national health sciences accelerator based in Vancouver, British Columbia, launched as a Centre of Excellence for Commercialization and Research (CECR) with the backing of five existing CECRs, including MaRS Innovation. It seeks to maximize new health sciences company creation, and to ensure start-ups have the resources they need to enable them to stay and grow in Canada and give rise to a new generation of strong health sciences anchor companies. The new CECR is also supported by a strategic partnership with BDC Venture Capital, which reflects BDC’s expanding support to the health sciences sector. MaRS Innovation looks forward to new collaborations with Accel-Rx, BDC and the CECR community in 2015. 6. Slyce acquired computer vision technology from York University through a MaRS Innovation-brokered deal to power its retail e-commerce business. Through the acquisition, Slyce also hired former York PhD student and co-inventor, Dr. Ehsan Fazl-Ersi, to lead the integration of the intellectual property into the company’s visual search platform as their new head of Research & Development. Since then, Slyce has raised $11 million, launched an IPO, acquired mobile app agency DriveTrain, acquired Tel Aviv’s BuyCode for $5 million and announced a mobile retail partnership with Neiman Marcus. 7. Encycle Therapeutics, spun out from the University of Toronto, is developing a lead molecule to tackle inflammatory bowel disease, which is being funded by Merck Canada through a collaborative partnership with IRICoR, Université de Montréal and MaRS Innovation. The project, which was covered in detail bySciBx, will advance Encycle’s macrocycle drug to target integrin a4b7, which is involved in the inflammatory process in a number of diseases, most notably for inflammatory bowel disease. The company was also profiled by BioCentury as an emerging company to watch. 8. The University of Toronto Early-Stage Technology (UTEST) program, co-directed by MaRS Innovation and U of T, continues to pick up steam, launching its third cohort of computer science-driven startups in Q4 of 2013. 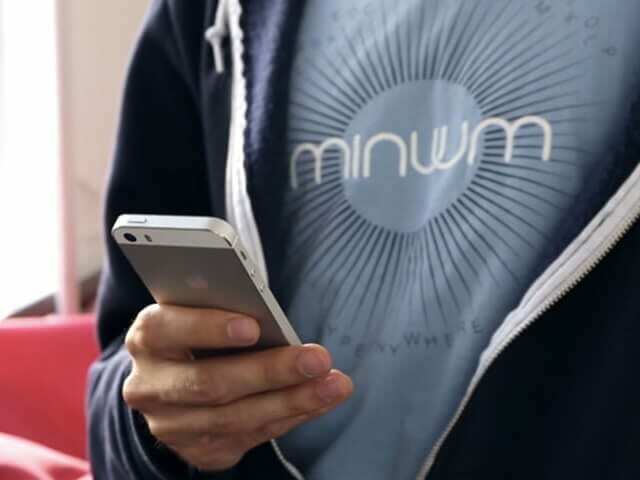 Whirlscape, makers of the Minuum keyboard and a graduate of the first cohort, had a stellar year. Listed by the Financial Post as a startup to watch in 2014, Whirlscape made good on that prediction, launching their product on the Apple product platform, raising a $250,000 seed round through YCombinator, demonstrating GoogleGlass, SmartTV and smartwatch applications of their technology, partnering with Will.i.am on his new wearable cuff and making Mashable’s 12 best Android apps of 2014 list. Who to watch in 2015? We’ve got an eye on Crowdmark, Coursepeer, eQOL, Granata Decision Systems and TrendMD. 9. OtoSim Inc., makers of medical training and simulation technology, has sold the OtoSim™ and OphthoSim™ devices into over 175 institutions in over a dozen countries. In February, the University of Toronto received a $200,000 donation to establish a Student Training Fund in Otoscopy, which involved the purchase of 66 OtoSim training units. The company surpassed $3M in cumulative sales as of Q4 of 2014, and began turning a profit in its second full year of operations. The company is spun-off from the Hospital for Sick Children. 10. Vasomune Therapeutics was awarded $1.5 million, in part through Genome Canada’s Genomic Applications Partnership Program (GAPP), to advance Vasculotide, the company’s lead Tie-2 activating agent, towards clinical development for renal disease. Vasomune, which was spun-off from Sunnybrook Health Sciences Centre, was also featured in BioCentury as an emerging company to watch. Curious how last year stacked up? Read the top 10 MaRS Innovation stories for 2013.